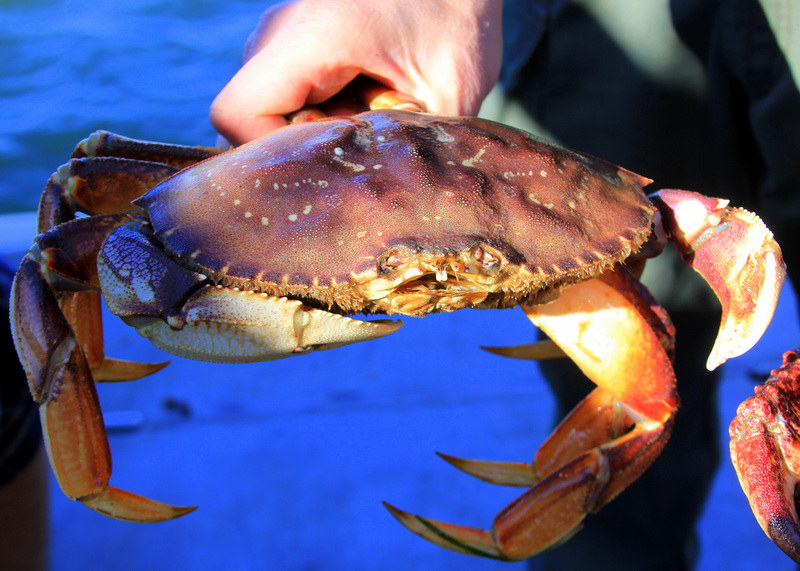 According to Department of Fish and Game (DFG) Lt. Dennis McKiver, crab traps are required to have at least two rigid circular openings of not less than four and one-quarter inches inside diameter so constructed that the lowest portion of each opening is no lower than five inches from the top of the trap (California Code of Regulations Title 14, section 29.80(c)). Fishing Lake Havasu with a California Colorado River stamp? Answer: Based on your question, it appears you buy the nonresident Arizona license so you can fish from shore in Arizona along boundary waters with California. If that is the case, what you have should be fine. A Colorado River Special Use Stamp is required for anyone fishing from a boat or other floating device on the Colorado River or adjacent waters forming the California-Arizona border. In addition, the holder of a California license must have an Arizona Use Stamp, and the holder of an Arizona license must have a California Use Stamp. Steel shot required for doves and quail? Question: In a very heated discussion in a duck blind recently, I was challenged to a bet over whether there is public land that requires the usage of steel shot for doves and quail. We eliminated the obvious like refuges, military bases like Camp Roberts and Hunter Liggett, and areas like the San Luis Wildlife Area. Answer: There have been no recent changes in the use of lead shot for small game including birds within the condor range. Answer: Hunters are limited to no more that two deer tags each season. According to DFG License Program Analyst Glenn Underwood, if you were fortunate enough to draw the fund raising deer tag, you would have to surrender either your first or second deer tag (your choice) prior to issuance of the open zone deer fund-raising tag. DFG has a list of frequently asked questions that are similar to the one you asked available at http://www.dfg.ca.gov/licensing/hunting/huntingfaqs.html. This entry was posted in Firearms/Ammunition, Fishing, Hunting, Info, Licensing/Permits/Stamps/Report Cards, Methods Of Take, Waterways. Bookmark the permalink.